It is believed that those who are suffering Chicken Pox, Small Pox will be relieved on sprinkling holy water. This Abhishekam Theertham (holy water) will be sprinkled after Pooja. It is believed that Goddess Sakthi safeguards the devotees who believe her truly. Pushpa Yagotsavam (Flower festival) will be celebrated during the month of Mar. Rathotsavam (Car festival) will be celebrated in Chitirai month. Angapradakshinam will be performed daily at this temple. 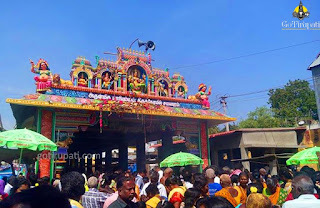 It is believed that King Dasaratha worshipped Mariamman at Samayapuram. Devotees used to reach temple a day in advance and sleep at the temple premises. 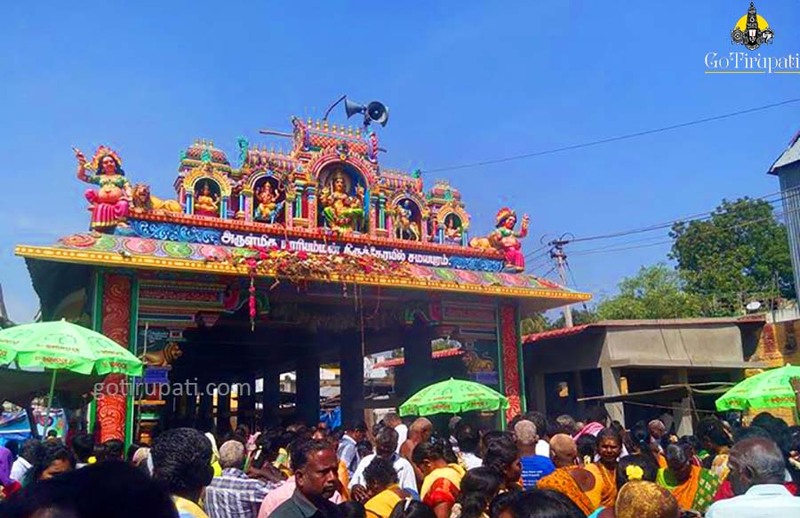 The uniqueness of this temple is that Goddess Mariamman will go on fast for 28 days from the last Sunday during Masi month. On these special days, Nivedana will not be performed only fruits and flour will be offered during this time. On the last day, Pushpa Yagotsavam will be performed with a variety of flowers and this festival called by Poo Choridal.